Philo was the forerunner of the famous and succesful Aladdin label. It was started in 1945 by the brothers Eddie and Leo Mesner and went off strong with artists like Illinois Jacket, Wynonie Harris, Helen Humes and Jay McShann. 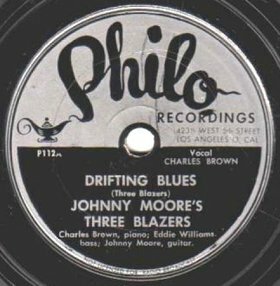 Today the turbulent first half year of this record company when they released their records as Philo, with the typical silver label and the Aladdin's lamp, from its smoke the word Philo formed. When radio manufacturer Philco forced them to change the name, it was the lamp that stayed and gave the name to the subsequent releases.